St Valentine’s Day is when the birds mate. But, of course, they do not know that, being birds. We, the pale apes, have no such excuse; we do know. 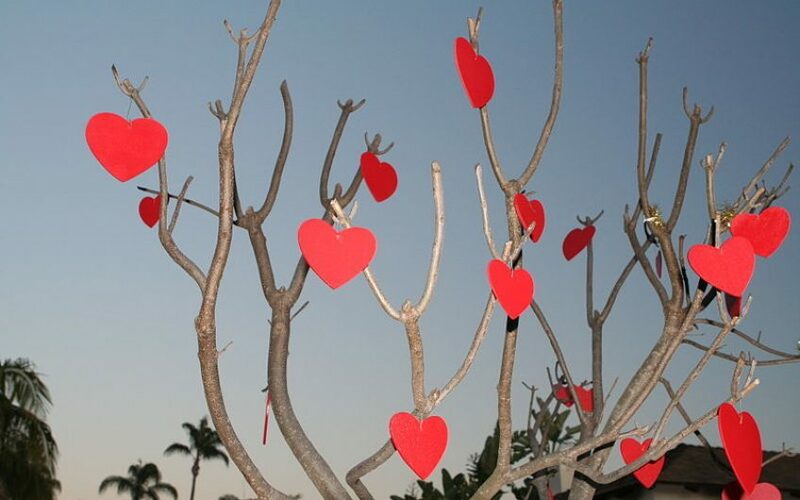 It is Valentine’s Day – which saint is unclear, for there are three Saint Valentines, all offering a crumb to the myth - and, rather than be attentive to our loves on this day and mindful of the peculiarities of individual romances, we all act the same. It is similar to the commercialisation of Christmas, but Christmas is more charming, probably because it is for children, and children are allowed to be gormless. Valentine’s Day is merely passive-aggressive – for we are hostages to it; and it is treacherous – for what if you don’t want to celebrate it? There is the vile card – ‘I LOVE YOU,’ it says, in printed capital letters, and sometimes it lies. The mark-up, I estimate, is 100% on a mere birthday card, which feels innocent in comparison; no festival is as cynical as Valentine’s Day. There are the ghastly flowers, which get more expensive each year; wilting roses in cellophane from a flower factory. The wealthy are exploited – which is rare, and the only thing to cheer – and the poorlypaid are priced out of love. There is the meal; usually a set menu, for restaurants know what they can get away with in February, and that is everything. The strict, and awful, rituals of the festival of romance are not peculiar to this day. It is the same at weddings, where brides, each possessed by an oblivious, but dedicated, intention to summon Queen Victoria’s ghost c.1840, all look and act the same. It’s a weird tribute to the idea of true love, but there it is. The most romantic thing you can do on St Valentine’s Day is sleep through it.